Unscrew the lid of a small squeeze-top container. (This bottle from Amazon is one good option.) Pour 1/2 cup of baking soda into the bottle, then mix in 1/4 cup of hydrogen peroxide. 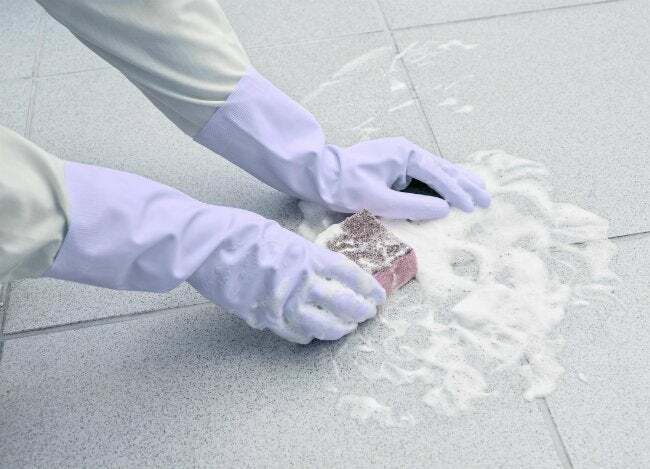 The baking soda will help remove tough stains and hard water buildup, while the hydrogen peroxide will clean and brighten, cutting through residue on the grout to remove discolorations.